A recent newspaper article highlighting my monitoring activities titled Saving our feathered friends is local man's goal from the August 11-24, 2017 issue of Almaden Times. Photos taken in Guadalupe Oak Grove Park including many of the Bluebird Trail therein. Bird species I've seen in the park since April 2001. The Bluebird Trail photos, plans, and seasons results beginning with the 2004 season. 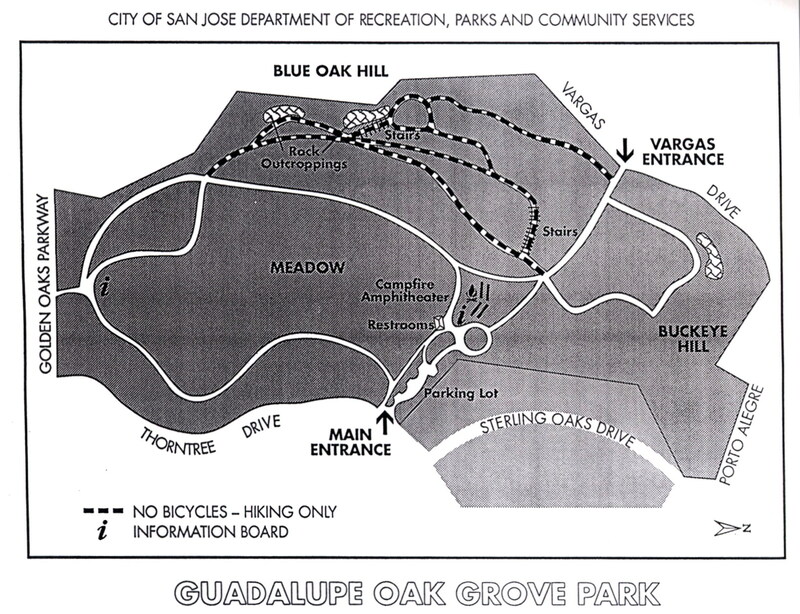 A dated and somewhat inaccurate map of Guadalupe Oak Grove Park. A Google map showing the location of Guadalupe Oak Grove Park. Copyright © 2004-2017 birdsfly. All rights reserved.